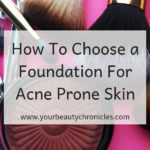 Before we get started how do you find out if your acne is hormonal acne? 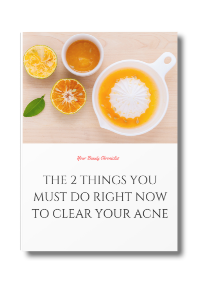 Here are 2 key points to know if you are dealing with hormonal acne or not. It starts to form at the same time every month – about 7 – 10 days before your period begins. Your acne is in the form of deep, painful cysts that never seem to come to a head. They also feel tender and hurt when touched. We won’t get into the “whole lot of other things part”. I might have to sit here all day!! What I’m going to do instead is give you some tips to restore your hormonal balance without taking medications or resorting to extreme measures. 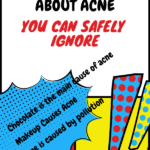 Before we get started know that not everyone who has a hormonal imbalance will get acne. Acne is just one of the milder symptoms of a hormonal imbalance. Yes, it is a milder symptom as much as it may not feel like it. There are worse things that can happen with a hormonal imbalance. I know this sounds bad but if only have acne because of hormonal imbalance you should feel just a little bit better. Acne is not a welcome symptom but it is one that can be treated much more easily than any of others issues above, in spite of what you may feel. Sugar tends to spike our blood sugar levels. These elevated levels throw your hormones out of whack. Continuous excess intake of sugary foods like cakes, sweets, candies and sweet drinks can lead to hormones that are continually imbalanced. Dairy available today on the other hand contains a lot of hormones which can be a contributing factor to your hormonal acne. If you are a vegetarian and find it hard to avoid dairy, at least start by cutting out just milk. You can always replace milk with almond milk or coconut milk. You can also do your body a great favour by cutting out processed foods which contains loads of preservatives. However know that if it is not possible you will get loads of good results by just cutting out sugar and milk. I always get a lot of push back when I ask people to eat healthy for better skin. I know people who would rather take Accutane to cure their acne than try to change their diet. This may be due to the fact that they see people who eat crap and have beautiful skin. 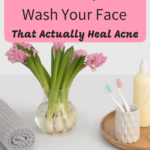 This often misleads people to think that diet and acne are not connected. However much I talk about different people reacting differently to foods and environment, they don’t seem to get it. It seems very unfair to them and you know what, it is. But…….. life is unfair that way and we can’t do much about it. 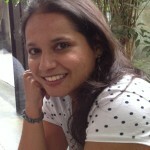 The reality is a diet change will help with hormonal acne. Eat freshly cooked foods made with fresh vegetables, poultry, fish, whole grains and fruits. 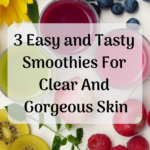 Not only will your skin clear but you will feel healthier as well. Start by changing just one meal to a really healthy one. Soon your body will automatically want to eat healthy all the time. Try drinking a cup of spearmint or green tea everyday. Alternately you can also try a green smoothie with a handful of fresh mint leaves. Place all the above ingredients in a food processor. Drink within half an hour of making it. Make the green smoothie or green tea or spearmint tea a regular part of your diet at least until your acne heals. 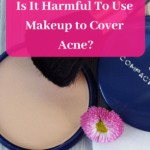 When you have cystic hormonal acne it is very tempting to go to war with it, slather on the BP ( benzoyl peroxide) creams and try to dry it out as quickly as possible. This however backfires at times when your skin responds badly. While BP may work at times, it also makes skin dry, sensitive, red and itchy. And if in case the BP does not work you are left with the dry sensitive skin and acne. I can tell you from personal experience that this situation is awful. Really awful! Wash your face with a mild cleanser or honey just twice a day, once would be better. Washing more than twice dries out your skin while the acne will still be there. Apply raw organic honey or aloe vera on the areas with acne. After using it for a week you will start to see results. Your acne will start to flatten out and heal. You can also use diluted tea tree oil as a spot treatment. Beware though, not everyone has skin that reacts well to tea tree oil. You could break out in hives or rash if your skin does not tolerate tea tree oil. Yoga can be really beneficial when it comes to getting your hormones back into shape. Certain yoga poses help to stimulate the hormone producing glands and help them work properly. A more intensive yoga class also gives you a good cardio workout which helps with blood circulation. 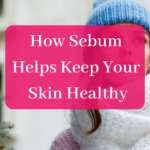 Better blood circulation helps with healing acne and gives you a youthful glow. Start with these basic postures. With the internet today you do not even have to step out of the house for a class. There are a lot of sites which have free online classes and which have videos which teach you the basic postures. Do You Yoga is one such site. Sleep is when your body repairs itself. Your body boosts blood flow to the skin when you sleep which means it heals your skin and gives you a healthy glow. A good sleep also relaxes you and makes you feel healthier and happier. Less stress mean better hormones. Set an alarm which goes off a full hour before you sleep. When that alarm goes off turn of all electronic devices like TV, laptop and iPad. Read a book or just sit quietly with a cup of green tea if you want something hot. Electronic devices stimulate your mind and keep you awake long after you get into bed. Turning off electronic devices calms you down and gets you ready for bed. You will sleep much better this way. When you are stressed it increases the cortisol levels in your body. Cortisol is a hormone which is released when you are stressed. When you are stressed a lot, there is a lot of it released into your system. One of the symptoms of excess cortisol is acne. If you are constantly stressed, the levels of cortisol in your body will be high which will cause an hormonal imbalance and wreak havoc in your body. In today’s fast paced world stress is certainly unavoidable. However learning not to react to situations is really helpful. Situations you can’t do anything about are not worth getting worked up over. Yoga and a good sleep can make you feel less stressed. Meditation also helps you not to react to every small thing that helps. Most yoga classes have about 5 minutes of meditation at the end. Reading a book, going for a walk, getting a massage, talking to a friend, watching funny sitcoms are all ways to get your stress levels down. 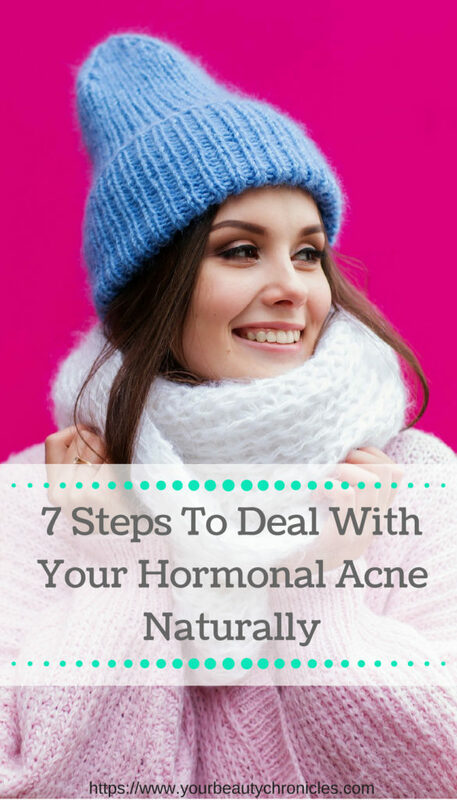 So there you go, 7 steps to deal with hormonal acne. I know it is a bit hard for you to implement all 7 steps in a day. So start with one step every 3 days. Start in the reverse order, i.e start with reducing your stress levels. Work on it for 2-3 days. Once you are less stressed you will automatically sleep better.